Sleeping Bags - we have it all when it comes to cosy sleeping bags. Lightweight for hiking, heavyweight and warm for colder seasons or deluxe king size bags for those looking for the ultimate in camping luxury. A fun selection of childrens sleeping bags - great for camping and sleepovers too. 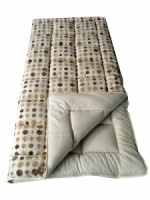 Many of our sleeping bags can be zipped together to make a double size sleeping bag for two adults. For those that like a bit of space try looking at the king size sleeping bags - single size bags but designed for comfort and extra roomy. Our sleeping bag guide is designed to help you choose the right sleeping bag for your outing whether you'll be camping in the summer, weekend trekking or mountain climbing in cold weather conditions. The guide aims to explain all the different features of sleeping bags that you need to consider when deciding what will be suitable for you. Sleeping bags tend to be given a seasonal rating which is used to describe the time of year / seasons that the sleeping bag is most suited to in terms of comfort and warmth. However do bear in mind that there is really no universal industry standard for manufacturers to adhere to so its also useful to check their particular temperature ratings (below) for a more accurate view of specific temperatures. 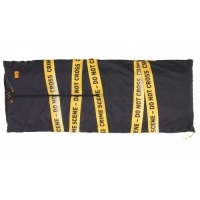 Season 1 sleeping bags are best suited to summer months where night time temperatures average 10-15⁰C. Season 2 sleeping bags are suitable for those months from later spring to early autumn where average night temperatures are not much around 5-10⁰C. Season 3 sleeping bags are great for spring, summer and autumn months where the average night time temperatures do not fall too far below freezing point. Season 4 sleeping bags are really more suited to the much colder winter months where harsher temperatures average from freezing to -5⁰C. Season 5 sleeping bags are suited to extreme temperature conditions such as those encountered on expeditions and where night time temperatures may drop as low as -15⁰C. Mummy style - these types of sleeping bags taper down to the bottom and are narrow near the feet and usually have a rounded hood at the top. They provide a better insulation than rectangular shaped bags by reducing the airspace between the body and the bag, in turn reducing the amount of air that your body needs to heat to keep you warm. The hood also helps prevent warm air from being lost from your head. Due to the tapered shape mummy style sleeping bags weigh less and have less bulk due to less material. 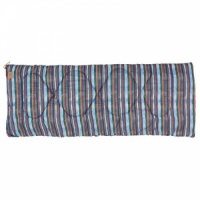 View our mummy style sleeping bags.